We have decided to forgo the usual dyed Easter eggs this year, for something a little less messy, and a little more permanent. 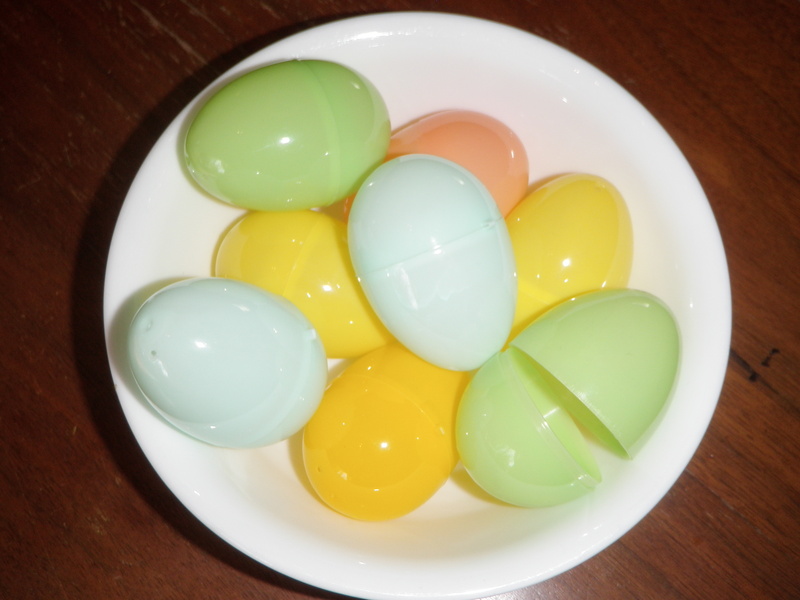 I began by purchasing some inexpensive plastic eggs (mine were only $1 for a dozen from my local Superstore). These are the kind that open, but that isn’t really necessary. Glue. The glue that I used (pictured here) is a general craft glue that dries clear, and claims to be suitable for just about every material, including plastic and fabric. To begin, I cut strips of fabric. I found that for these eggs (they were slightly smaller than a real chicken egg) a strip about one metre long by one centimetre wide worked best. The strip that I used in the following pictures was a little too wide, and looked messier than the eggs with smaller strips. 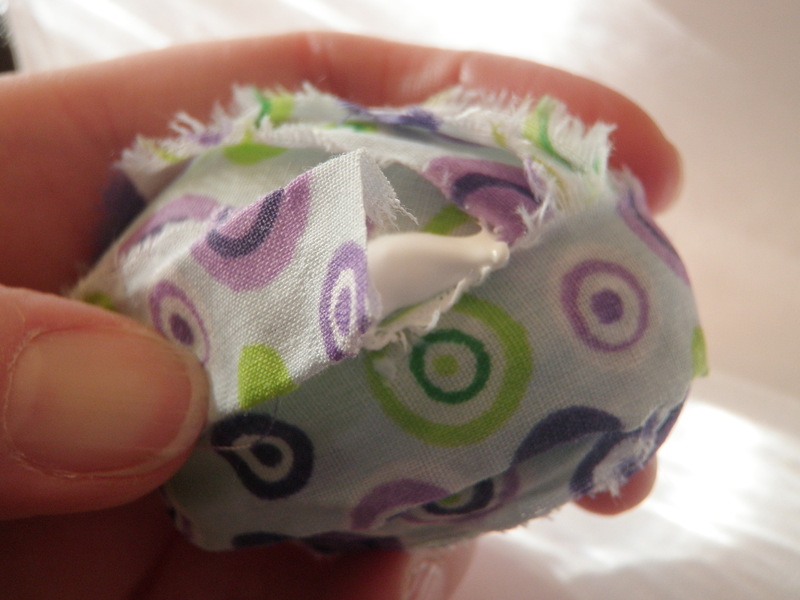 On those eggs with which I used a thin cotton fabric, I started by putting the fabric end inside the egg on some glue. If you are using eggs without an opening, just use more glue! 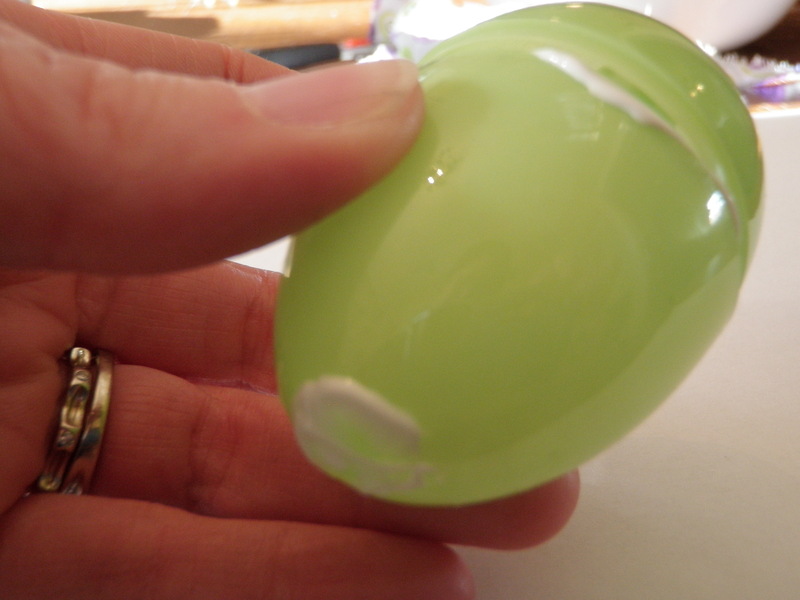 Begin by putting some glue where the egg closes. 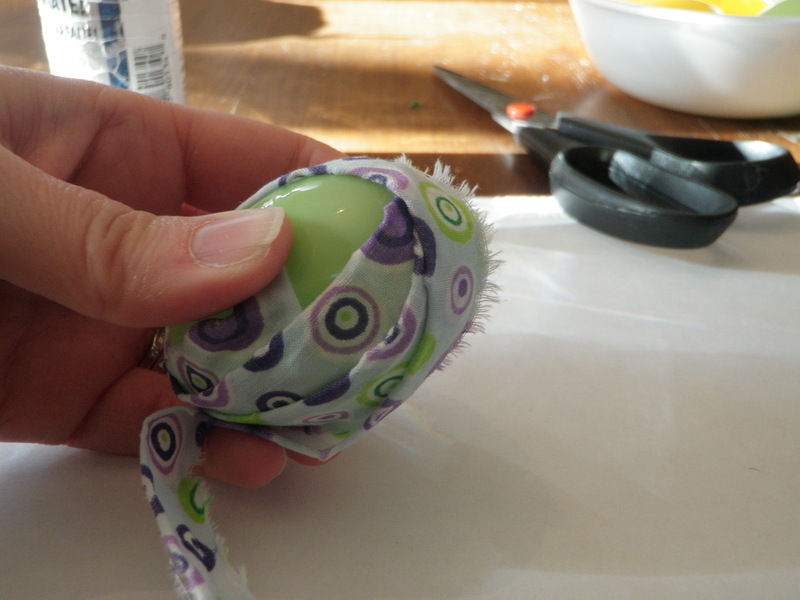 Then add glue to the top and bottom as you wrap the egg. 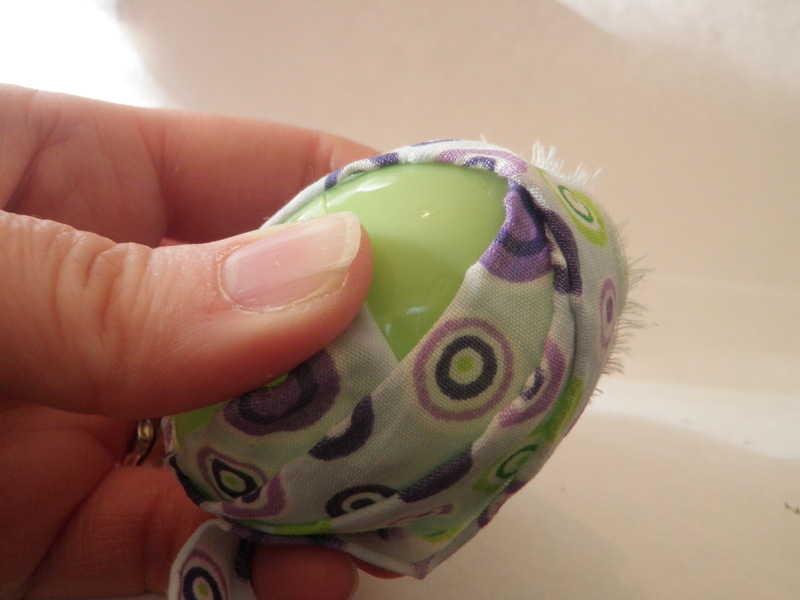 When using thinner fabric, tuck the end inside the egg to make it secure. 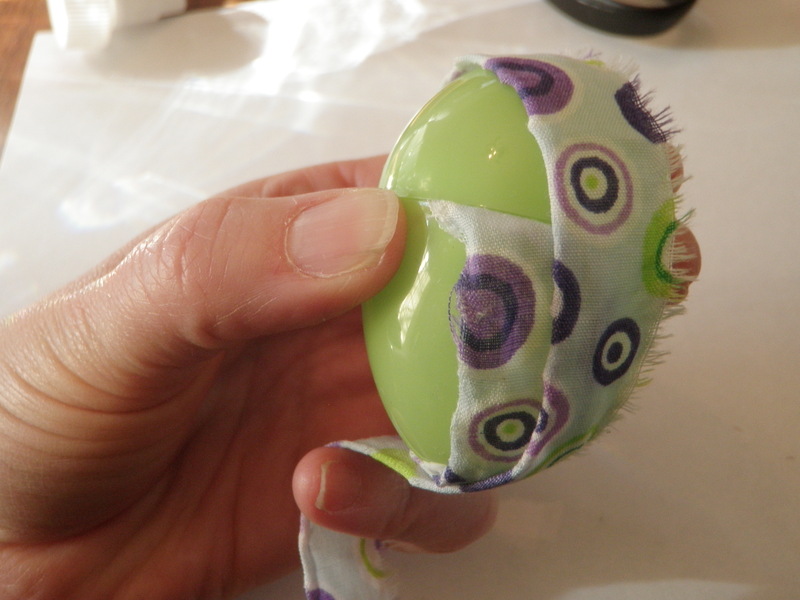 Now begin wrapping the egg with the strip of fabric. 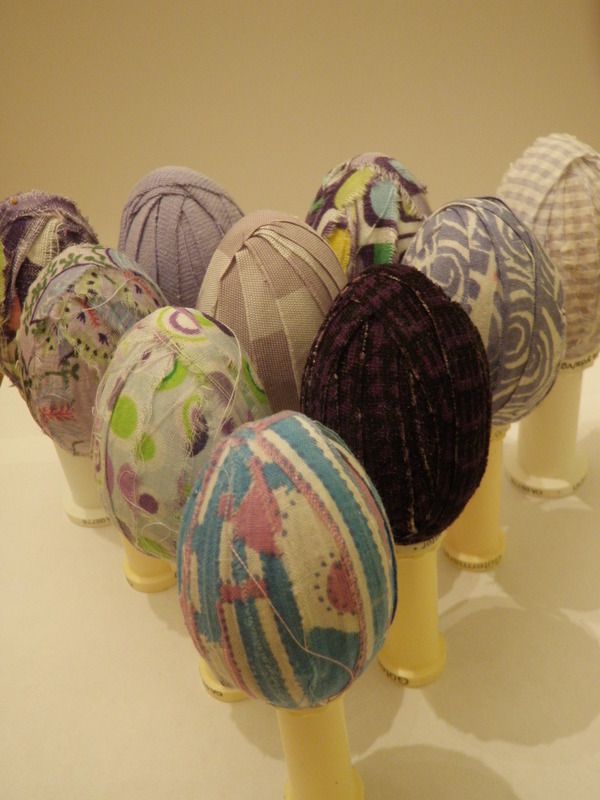 I put glue on the top and bottom of the eggs for the light fabrics, and for the heavier fabrics, I covered the surface of the egg with glue. 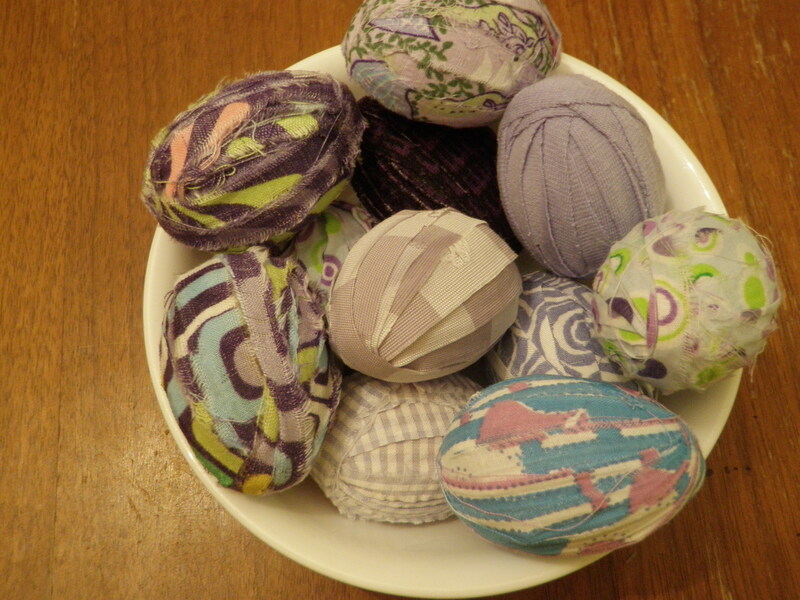 I found that the eggs worked out best, and looked neatest when the fabric changed direction at the ends of the egg. 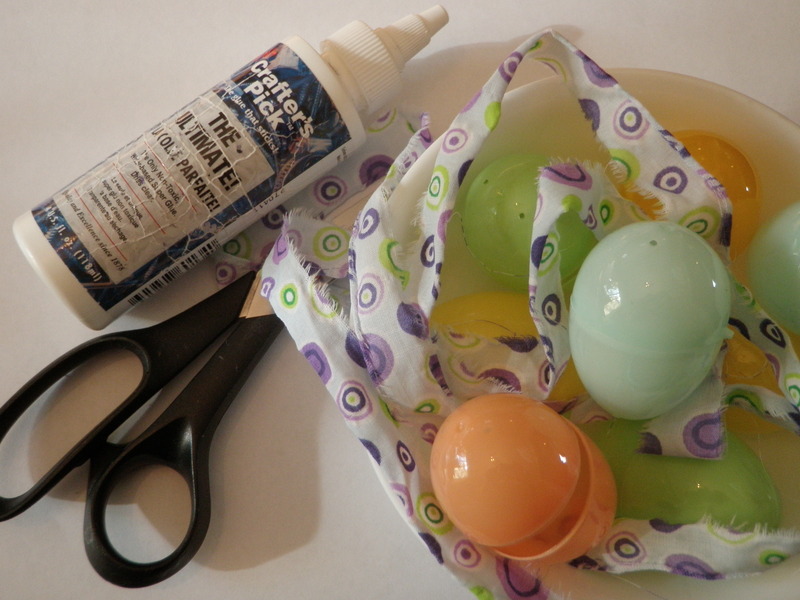 add glue to the eggs to secure the fabric. Change directions at the ends to ensure total coverage of the egg. 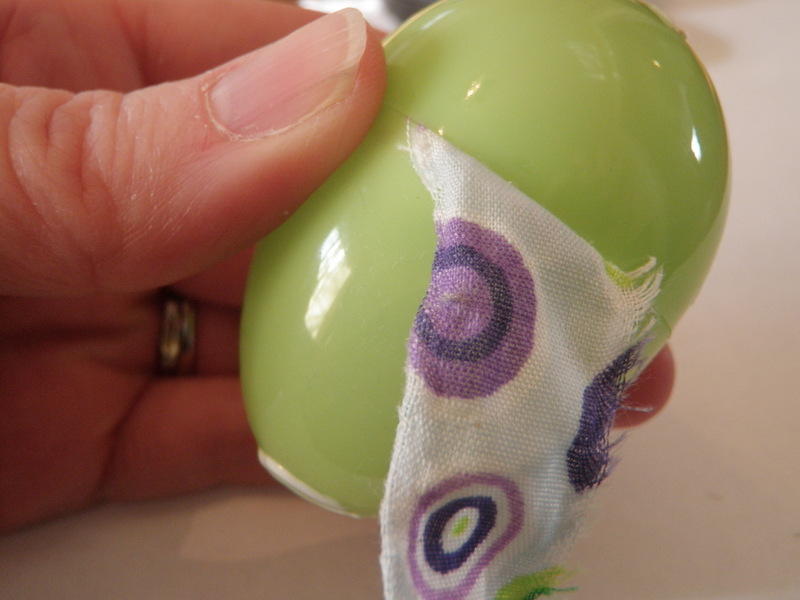 Once the egg is covered with fabric completely, snip off the excess fabric and glue the end down with plenty of glue. Glue down the end of the fabric. Repeat with a variety of fabrics, and display in a way that will astound friends and family!